The much awaited Honda Civic R Type has been revealed at the Geneva Motorshow where it is also said that the car will make its debut in 2015. Much attention has been given to the exterior design of the vehicle and it has been named as “racing car for the road”. 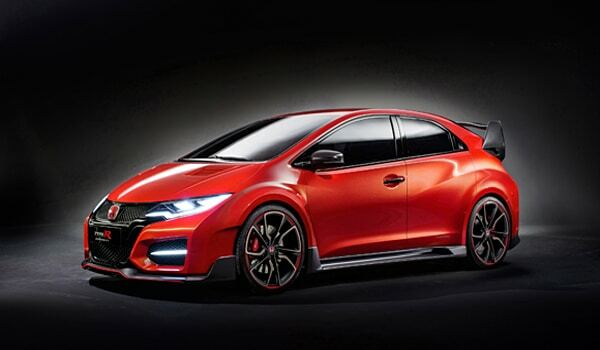 All the features and characteristics which are being unveiled in the show truly represents the Type R is known for. Though much attention has been paid to the styling of the car yet performance is nowhere lacking behind. It has also been confirmed by the famous Nurburgring Nordschleife in Germany while testing the car that this vehicle surely provides real function rather than just the aesthetics. Honda has also unveiled the development of the advanced technology concept, the FCEV concept which made its first appearance at the show. FCEV is basically for the Fuel Cell Electronic Vehicle which in the words of Honda would be the next generation car. This concept will make its debut in 2015 in U.S. and Japan and later at Europe. Though this is just a concept yet Honda is making its real efforts for almost two decades for the development and the deployment of fuel cell technology through extensive real world testing. This model is a further evolution in the vehicle industry also known as NSX supercar. It is installed with V6 direct injection engine with twin turbo alongside Honda’s innovative 3 motor Sport Hybrid SH-AWD (Super Handling – All Wheel Drive) hybrid system. Honda won the championship at the 2013 World Touring Car Championship as the Manufacturer’s Championship so this year Honda will also reveal the livery of the 2014 Civic World Tour Car Championship. Further Honda has also declared that it will demonstrate the history of the Formula One with RA271 that was complete in 1964. It made its debut at German Grand Prix held at Nurburgring. Honda will also showcase the record breaking turbo charged RA168E engine in 1988 season.